SANTA ROSA, Calif., Dec. 19, 2011 (GLOBE NEWSWIRE) — ZAP Jonway (OTCBB:ZAAP.OB – News), a designer and manufacturer of new energy and electric vehicles (EVs), entered a funding agreement with Jonway Group CO. Ltd., to pay for a total of $18.2 million for the already completed interior and exterior design and molding of the JNZ SHUTTLE Van; the completed engineering design, type approval certification and catalogue license of the gasoline transmission of the JNZ SHUTTLE Van; and the ALIAS interior and exterior design and molding, which is underway. SANTA ROSA, Calif., Dec. 16, 2011 (GLOBE NEWSWIRE) — ZAP Jonway (OTCBB:ZAAP.OB), a designer and manufacturer of new energy and electric vehicles (EVs), plans production of the ALIAS, ZAP’s highly anticipated sports EV, in the fourth quarter of 2012. SANTA ROSA, California – November 15, 2011 – ZAP Jonway (OTC BB: ZAAP), a designer and manufacturer of gasoline and new energy electric vehicles (EVs), after extensive strategic planning and integration development, announced its joint product roadmap for 2012. The roadmap is focused on delivering affordable and technologically competitive new gasoline and EV models that address the growing market demand. ZAP Jonway updated anticipated production of the Alias by early 2012. SANTA ROSA, California (May 23, 2011) — ZAP Jonway (OTC BB: ZAAP) recently filed its Form 10-Q for the quarterly period ended March 31, 2011, which included consolidated financial results for the first time taking into account ZAP’s acquisition of 51% of the equity shares of Zhejiang Jonway Automobile Co. Ltd., or Jonway Automobile, located in Sanmen, Zhejiang, China, in January 2011. We refer to this transaction as the Jonway Acquisition. The Jonway Acquisition was the result of a yearlong effort by both parties. Jonway Automobile is an ISO 9000 production-ready automobile manufacturer in China with facilities that were installed in 2009. Through the Jonway Acquisition, ZAP has been able to gain access to a cost-competitive production team in China with manufacturing expertise and access to China’s growing electric vehicle, or EV, market. This complementary relationship is further enhanced by ZAP’s EV technology and expertise, which adds to Jonway Automobile’s existing traditional vehicle sales business and broadens its global sales footprint. In addition, ZAP Jonway plans to deliver early pre-production models of the A380EV to the Shanghai Yangpu government for its Green City Project in the second quarter of 2011. The full production of the A380EV is expected in the latter part of the fourth quarter of 2011. ZAP Jonway anticipates that the Alias model will follow in early 2012. SANTA ROSA, California (January 25, 2011) – Electric vehicle market pioneer ZAP (OTC BB: ZAAP) announced today that it has completed its acquisition of 51 percent of the capital stock of Zhejiang Jonway Automobile Co. Ltd. of Sanmen, Zhejiang, China. Cathaya Capital LP has funded the aggregate amount of US$36 million. The final payment of US$19 million related to the acquisition was made on January 21, 2011 with the funding from Cathaya Capital. Total cash payment for the acquisition of 51 percent of Jonway Automobile was US$30,030,000. With ZAP’s electric vehicle (EV) technology expertise and international experience, the combined company intends to build the necessary production platform to address the Chinese EV market. The newly combined company, to be renamed ZAP Jonway, will leverage Jonway Auto’s A380 SUV, as well as its established distribution channels to the Chinese market with over 90 direct dealers. ZAP Jonway will manufacture and sell SUVs powered by ZAP’s electric drive train and expects to benefit from the 60,000 RMB (approximately US$9,000) government incentives granted to electric car buyers. Jonway Automobile anticipates vehicle sales for its gasoline A380 SUV to increase by 40 percent to over 10,000 vehicles in 2011 compared to 2010. In 2009, its first year of sales, Jonway Automobile experienced sales of 4,000 SUVs, which rose to over 7,000 in 2010, each with a sales price of around US$11,000. ZAP Jonway is currently adding to its manufacturing production lines to deliver the A380 EV SUV by the anticipated date of June 2011 and ZAP’s ALIAS EV roadster by September 2011. SANTA ROSA, Calif., Nov 18, 2010 (BUSINESS WIRE) — Electric vehicle pioneer ZAP (Stock Symbol: ZAAP) completed its initial down payment of US$10 million towards the 51% acquisition of Jonway Automobile. Jonway Automobile plans to complete an audit of its financial statements by December 31, 2010 and thereafter, ZAP intends to finalize the acquisition with the payment of the US$19 million balance of the US$29 million purchase price. Jonway Automobile reported sales of over 4,000 gasoline vehicles through the end of September 2010, and projects total sales of over 6,500 vehicles by December 31, 2010. Jonway Automobile reported that wholesale sales prices of the vehicles averaged US$10,000. Jonway Automobile projects year-end revenues for 2010 to increase more than 40% compared to last year with its current gasoline vehicle product line. Jonway Automobile reports that it is debt-free, cash flow positive and able to finance its gasoline product revenue growth at the same rate for 2011. Under the new equity structure, Jonway Automobile will be 51% owned by ZAP, and 49% by its original parent Jonway Group. This equity ownership transfer was approved by the Chinese government on October 3, 2010. Jonway Automobile plans to ramp up production of the A380 SUV electric vehicle (EV) in the first half of 2011 together with ZAP’s Alias EV by third quarter 2011 at their Sanmen, Zhejiang factory. By combining Jonway Auto’s ISO 9000 manufacturing facilities, capable of delivering over 50,000 vehicles per year, with ZAP’s EV technologies, products and expertise, the company aims to lead the emerging EV fleet market in China. After years of work put into the Progressive Insurance Automotive X PRIZE and being one of only seven of the original 136 vehicles to make it through validation, ZAP is extremely honored to receive an Innovation Award from BorgWarner. BorgWarner supplied the Alias with its state-of-the-art eGearDrive(r) Transmission Technology. The system worked flawlessly throughout the competition, helping the Alias run at an impressive 124 MPGe, despite carrying hundreds of pounds of extra safety equipment to enhance its production-readiness. 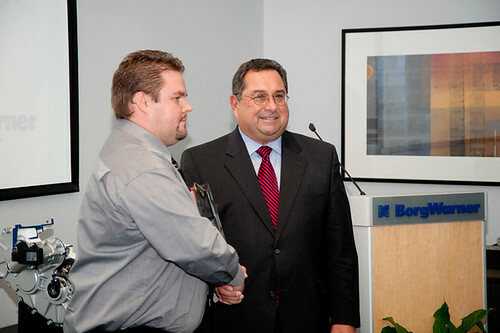 BorgWarner historically gives this award to recipients and teams within the company. 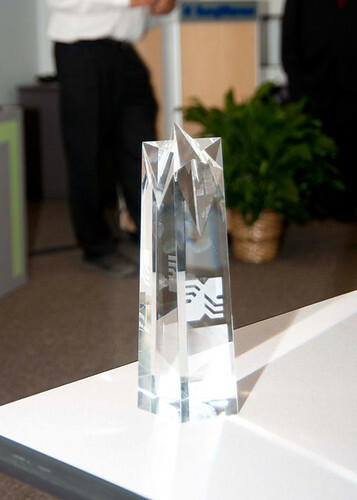 The ZAP Alias and other X PRIZE vehicles are the first innovators outside of the company to receive an award. “It’s an honor to be a part of the electric car movement and with ZAP in particular. When we entered the Progressive Insurance Automotive X PRIZE, I was surprised to find that the Alias was using a BorgWarner transmission, so I am especially excited to hear that BorgWarner is involved in the electric car movement as well. I wish I could be there on ZAP’s behalf, but also on the behalf of BorgWarner, because of their long history with the Indy 500. Thank you.” — Al Unser Jr.
Read more about ZAP’s showing in the Automotive X PRIZE here. Press Release below. AUBURN HILLS, Mich., Oct. 5 /PRNewswire/ — BorgWarner’s variable turbine geometry (VTG) turbocharging technology boosts the performance and fuel economy for the Very Light Car by Edison2, Mainstream Class winner of the Progressive Insurance Automotive X PRIZE competition. The four-passenger vehicle is fueled by E85 and built with a focus on low weight, high efficiency and superior aerodynamics. Designed to boost the output of down-sized engines, BorgWarner’s VTG turbocharger helped the Edison2 team achieve the performance of a much larger engine, with lower weight and better fuel economy. During the competition, the Very Light Car recorded a total efficiency of 102.5 MPGe (miles per gallon or energy equivalent). In addition, BorgWarner’s 31-03 eGearDrive® transmission drove two finalists in the Alternative Class for two-passenger vehicles: the Aptera 2e and the Alias from ZAP (OTC Bulletin Board: ZAAP). Both battery-powered electric vehicles benefited from the eGearDrive® transmission’s high-efficiency gear train and compact, low-weight design, which contributes to extended driving range and, in turn, reduces battery capacity requirements. The eGearDrive® transmission achieves greater than 97 percent efficiency, while providing smooth, quiet operation. BorgWarner also provided the thermal management system for the Aptera vehicle’s power electronics and electric motor drive unit. 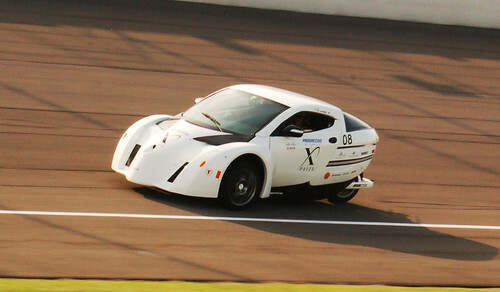 The Aptera recorded 179 MPGe on the X PRIZE test track and 195 MPGe during the event’s dynamometer test. 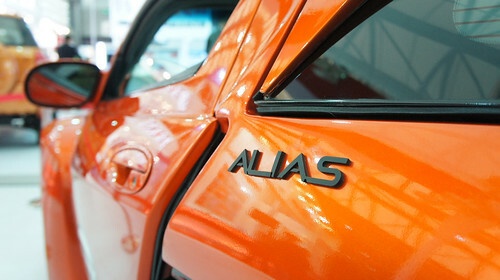 The Alias achieved a total efficiency of 124 MPGe. To inspire a new generation of viable, super fuel-efficient vehicles that offer more consumer choices, the Progressive Insurance Automotive X PRIZE awarded $10 million to teams that won a multi-stage competition for clean, production-capable vehicles that exceed 100 MPGe. A field of 136 vehicles from 111 teams was evaluated for efficiency, safety and performance under real-world conditions. BorgWarner was an official sponsor of the Aptera 2e team. Auburn Hills, Michigan-based BorgWarner Inc. (NYSE: BWA) is a product leader in highly engineered components and systems for vehicle powertrain applications worldwide. The company operates manufacturing and technical facilities in 60 locations in 18 countries. Customers include VW/Audi, Ford, Toyota, Renault/Nissan, General Motors, Hyundai/Kia, Daimler, Chrysler, Fiat, BMW, Honda, John Deere, PSA, and MAN. The Internet address for BorgWarner is: http://www.borgwarner.com. Progressive Insurance Automotive X Prize for the best 100+ MPGe autos.